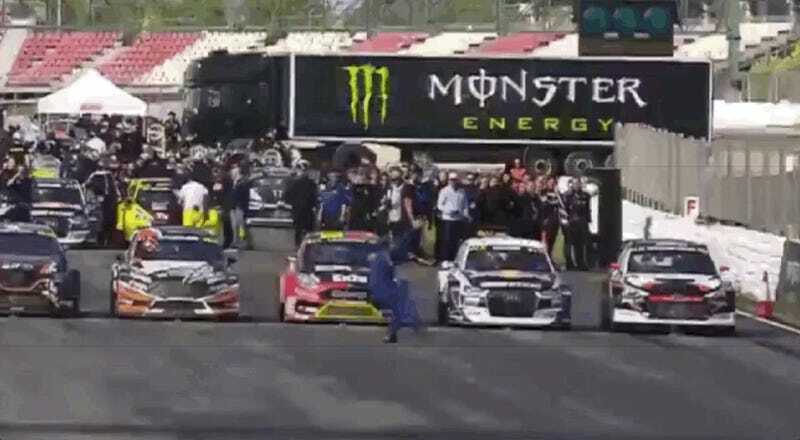 Johan Kristoffersson won the final at World RX of Catalunya-Barcelona this past weekend, and congratulations to him, though we’re not here to talk about the racing. No, we’re here to discuss this unfortunate gent. Now, look, we all trip over our own feet at times, but, buddy, that’s the price you pay for going all in on your marshal duties. I’m hearing reports that they had to call in emergency workers to treat a bruised ego.